Description Frisco Railroad en route/on board Stationery (some call it Stationary) small (6.5" x 3.625") envelope for it's famous train the Texas Special. 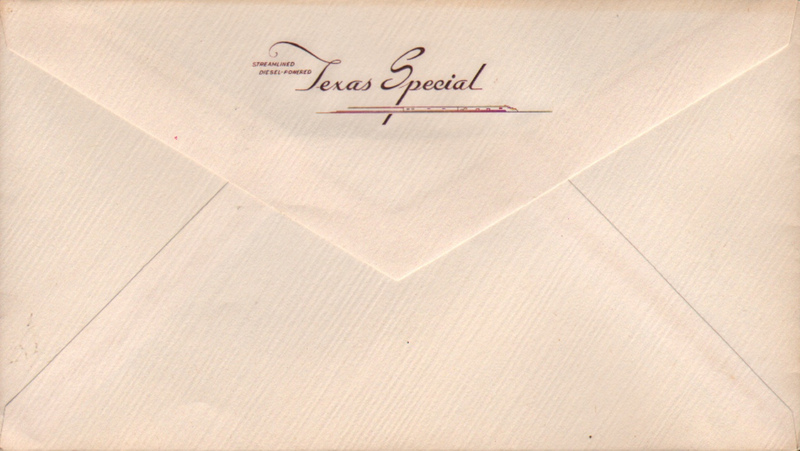 A cream colored envelope with "Streamlined Diesel-Powered Texas Special" and streamlined train in Maroon ink. The Texas Special was a named passenger train operated by the Missouri Kansas Texas Railroad (also known as the MKT or the Katy) and the St. Louis-San Francisco Railway (Railroad) known as the Frisco. 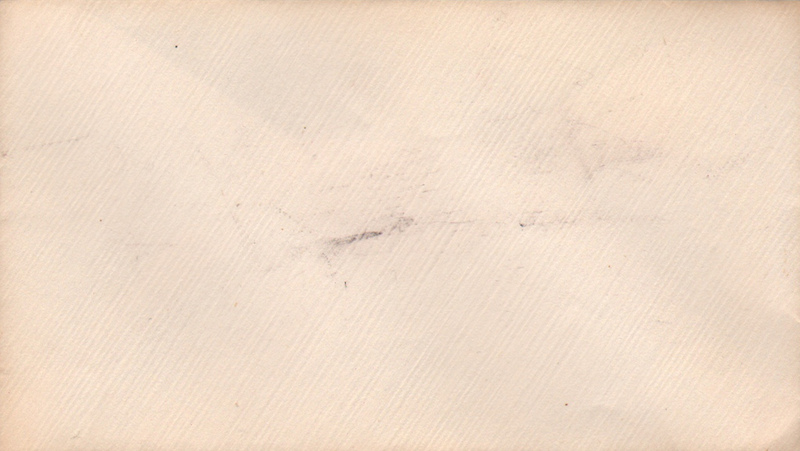 Some scuff marks on the front of the envelope. Partially sealed.